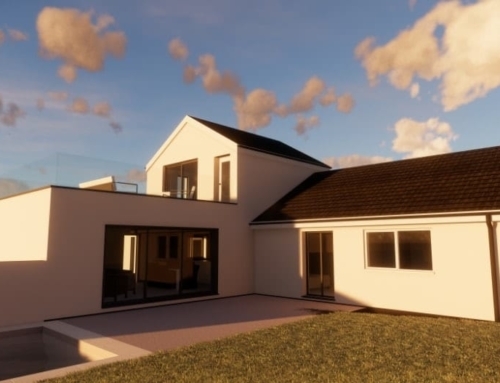 Lilly Lewarne Architects were appointed in 2017, to design a contemporary replacement dwelling, on a recently purchased site in Scarcewater Vean, Truro. Through a lengthy planning process, we successfully obtained a formal planning consent in 2018 for the erection of a new contemporary domestic dwelling, which nestles in to the landscape and the surrounding tree line. Introducing a limited pallet of materials that will weather and blend with the contextual environment over time, the new home enhances the ‘architectural style’, whilst creating much desired accommodation for the client.